After making wine around the world, Peter Warr has found a home at Clover Hill. 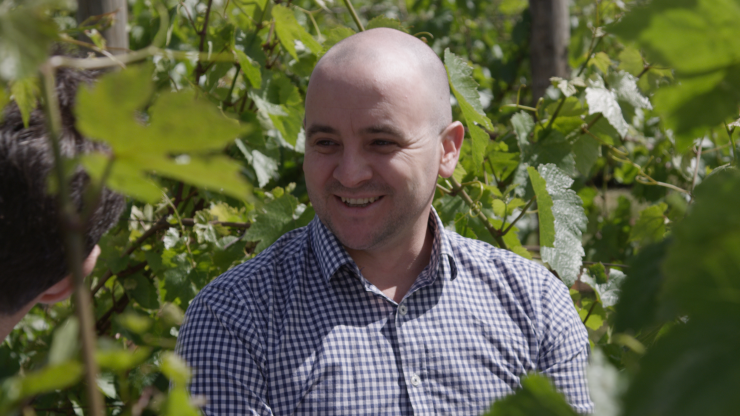 With experience ranging from prestigious Bordeaux, to vibrant Chile and even in ‘old world’ Crimea, Pete has always enjoyed working with (and enjoying) unique, elegant and interesting wines. Pairing this intrigue with a passion for sparkling wines that was fostered early in his career while working in the Adelaide Hills, he now gets a chance to craft some of Australia’s finest sparkling wines. Working alongside Chief Winemaker Robert Heywood, the winery has seen an implementation of new techniques as well as a few somewhat forgotten traditional methods. The combination of Pete’s dedication and innovative approach is reflected in the numerous accolades granted to Clover Hill’s wines.